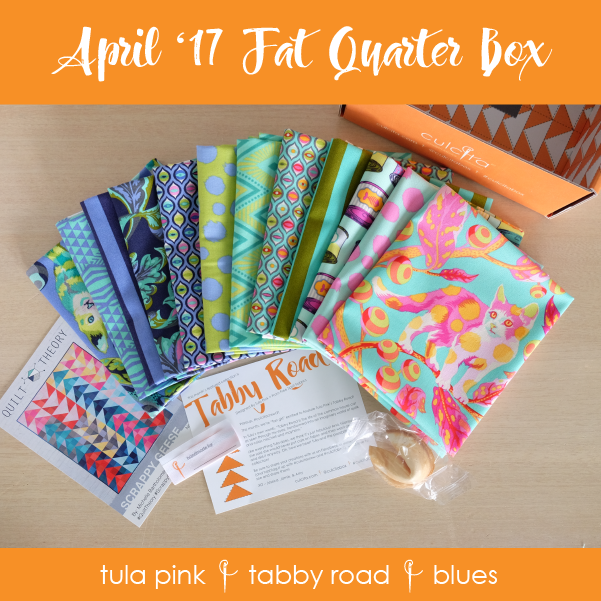 If you aren't ready to subscribe to our ongoing subscription service, you can still buy just April 2017's box featuring Tula Pink's Tabby Road from Free Spirit Fabrics! Choose from the blue or pink palette to your liking! 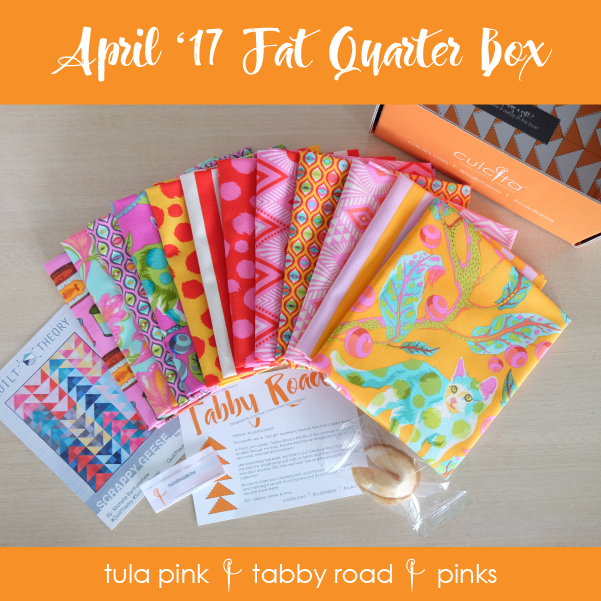 Includes 12 different fabrics – fat quarter style – of standard quilting cotton. Your order will ship out within 1 to 2 business days.